to help individuals with disabilities achieve the satisfaction of sustained, gainful employment in Westchester and Putnam Counties, New York. Your gift helps individuals with disabilities to get jobs! 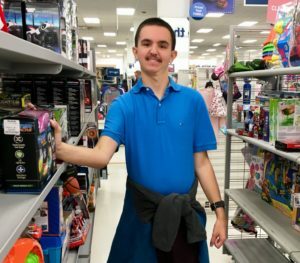 Help us provide job placement and long-term follow up support to CAREERS’ clients like Robert, a student from Putnam Valley who participates in our Education and Employment Initiative Internship program at New York Presbyterian Hudson Valley Hospital and works part time after school! He is one of over 2,700 individuals that CAREERS’ has placed in jobs and provided ongoing long-term support to make sure they are successful. Since 1987, all of our services are provided AT NO COST to our clients and their families! Although CAREERS receives county and state funding, your support is crucial to bridge the gap between funds we receive and the cost to implement these programs. Download and print the donation form and mail a check or money order. Please make checks out to: CAREERS Support Solutions, Inc., 400 Columbus Avenue, 123S, Valhalla, NY, 10595. Include CAREERS in your will. You’ve taken care of your retirement and your children… what about individuals with disabilities in Westchester, Dutchess and Putnam Counties? Your legacy can make a huge difference to people in need by improving the quality of their lives. a specific asset such as real estate or stocks. name CAREERS Support Solutions, Inc. as beneficiary of a life insurance policy, an IRA, a 40lK, Keogh or other pension plan. Keep in mind that your will can be amended at any time. One of the best ways to help CAREERS continue its mission of helping people with disabilities is by making a bequest in your will. There are three different kinds of bequests and the entire value of any of these types of bequests is eligible for both a federal and New York state estate tax charitable deduction. Specific Bequest. You designate a particular property (such as shares of stock), dollar amount, or percentage of your estate to be transferred to CAREERS. Contingent Bequest. You designate all or a portion of your estate to be transferred to CAREERS only if a named beneficiary predeceases you. Residual Bequest. You designate all or a portion of your remaining (residuary) estate to be transferred to CAREERS Support Solutions, Inc. only after all other beneficiaries (including debts, taxes, and other expenses) have been paid. Even a small percentage of your estate can make a difference to individuals with disabilities. 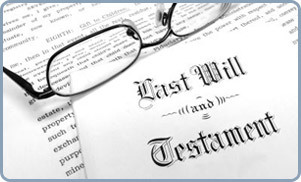 If you decide to make a bequest, share your plan with your attorney and financial advisors, who will draft appropriate language for your will and help structure the gift effectively. If you have any questions, please call CAREERS Executive Director Tina Cornish-Lauria at (914) 741-8500 x111. Your legacy will make a difference to individuals with disabilities throughout Westchester and Putnam Counties, and ultimately to our entire community.